MEMPHIS, Tennessee -- A mother in Tennessee has been charged with first-degree murder and child abuse and neglect in connection with the stabbing deaths of her four young children, authorities in Tennessee said Saturday. Shanynthia Gardner of Memphis was charged with four counts of first degree murder while committing aggravated child neglect in the deaths of four of her children - all under the age of 5 - whose bodies were found after deputies entered her apartment in east Memphis. Gardner also faces four counts of first degree murder while committing aggravated child abuse; four counts of aggravated child neglect or endangerment; and four counts of aggravated child abuse. Shelby County Sheriff Bill Oldham says the victims were a 4-year-old boy; a 3-year-old girl; a 2-year-old girl; and a 6-month-old girl. A 7-year-old boy escaped the attack. All five children were Gardner's. 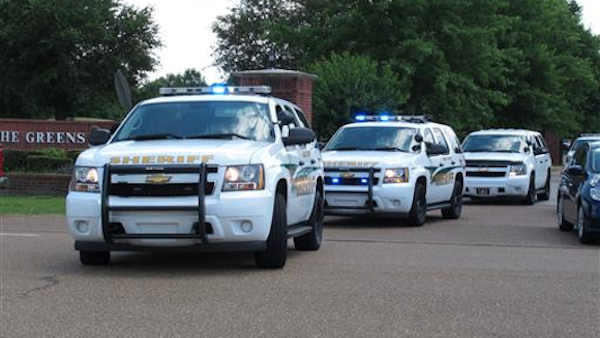 Deputies were called to an apartment complex in unincorporated Shelby County on Friday afternoon. They took Gardner into custody after finding the children's bodies. On Friday, Oldham said the district attorney general's special victims' unit had been called in and Shelby County Mayor Mark Luttrell has promised all resources necessary for the investigation.